Looking for something recommended for you to read this weekend? Well, leave the job to me because I have exquisite collection of Harlequin and Silhouette. You should know that when it comes to read, I’m a kind of person who will read almost everything. It is true that some people choose book to read just to make them look smart or educated. That is why, when it comes to romance novels they prefer to reject it because according to them; romance novel is a lame thing to read. I disagree with that, because anything that written always worth to read. Why? Have you tried to write a novel? Some people are gifted but some others, like me, required hard work to finish writing a novel. You should know that it is not easy to write a novel, no matter how lame the story is; that’s why I said, anything that written always worth to read. Furthermore, you don’t need reason to read because for me, reading is a pleasure only you could enjoy. Perhaps you could share your experience of reading a book and suggest the book to someone else, but in the end only the person who read the book could treasure the pleasure of reading it, no matter how good you are as a story teller. Though when it comes to my blog, I don’t really expect people will visit it regularly and read my post because my blog is not about being read but much more about being written. Yes, having a blog is a very good exercise for me or anyone of you who one day wants to be a writer. Besides, since I’m living in the middle of nowhere, writing on my blog likes a sweet escape where I could share anything I want to share and let people know what I want them to know. Well, since it is weekend, I usually make a mix of weekend playlist but I’m out of collection of music these days, so I replace it by sharing some of my Harlequin and Silhouette collections to download for free. 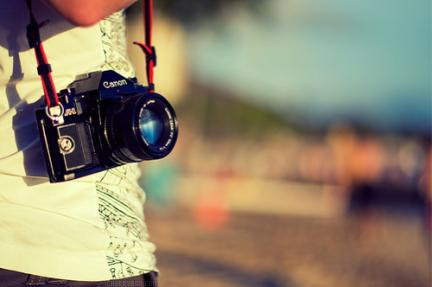 Photography is not my main interest but just like any other girls, I love to be the main part of photography. That’s why; it’s always cool to have a friend who has profession as photographer. Do you want to know why? Anytime you need new photo for your new CV, you would always count on them. They know how to make you look impressive though the background of your 3x4 photo is only your bedroom’s wall. Impressive photo is one of the success keys to get job. They know the coolest event or trend in town. A photographer usually does research before they choose a theme for their project and their clients will willingly suggest some ideas based on the current or resent trend. Discount photo guarantee for life. It is true, you would always ask for their help whenever you need them to capture the important moment in your life, like birthday, wedding, graduation and so on. Actually, on behalf of my photographer friend, I have been managing a photography blog, Midori Photography. I know the blog is written in Bahasa because our clients are mostly local. So, whenever you visit Pontianak, Kalimantan Barat (West Kalimantan), Indonesia, don’t hesitate to contact Midori Photography for some cool Photos in Pontianak. Weekend again… time flies sooo fast… have you recorded them? I’ve been trying my best to do that by keep posting in my blog. Anyway, I’m going to post something about music today. Gosh, it has been almost two years when I decided to leave my ‘band girl’ kind of life. Yes, I was in a band with some friends who have big interest in music but little time to play. One day, we decided to form a band in those limited time and named us Seven Ate Nine; because we always make schedule to meet at Seven but everyone always arrive at Nine. It is true, we are busy people, my drummer is a doctor, my guitarist is a university lecture, my keyboardist is a bank employee, my bassist has several bands to maintain, while my partner in vocal is an IT master student and last but not least, me is a web content writer who always at war with deadlines. However, I didn’t know how, but we always made it to gather on Wednesday evening to play some music and join some events available thought we play for free. Unfortunately, no more Seven Ate Nine now, because the doctor got a medical clinic to run, a university lecture has his own IT consultant office to manage in his hometown, the bank employee got transferred to different city, the IT master student is now a lecture in different city as well, and me got stuck in the middle of nowhere surrounded by big plantation belongs to Sri Lanka company. So, here I am, enjoying music from my playlist I made myself because no more ‘band girl’ kind of life but I would never be able to leave music away from my life. Call me weird, my playlist is much way weirder. The Clash at Demonhead is not a real band; it is a band from movie Scott Pilgrim vs The World. Brie Larson as Envy there looks cute and evil at the same time. 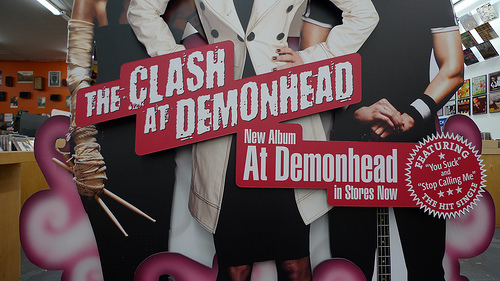 However, a friend told me that if The Clash at Demonhead really is real and then she will be the big fan, well so do I, I guess. It is funny actually when I should talk about OASIS’ Stop Crying Your Heart Out. I’ve heard the song several times but I fell in love with the song when PrisaCuteDevil sang it in her YouTube channel. So, since then this song never leave my playlist. Speaking of The last Shadows Puppets and Arctic Monkeys, Alex Turner is the reason I hear their songs. If you ask me who is my favorite musician? Well without a doubt I will say Alex Turner. So, if I could I will add all of his songs in my playlist but I also got bored fast, so it is better to make some mix of music. 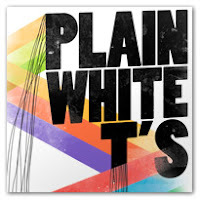 From Plain White T’s, my favorite song is actually Hey There Delilah but right now, my mood prefers Lonely September though it is still June but this time I will follow what my mood wants. 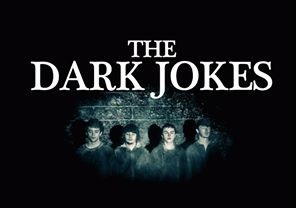 The Dark Jokes is an indie band from Scotland. I know this band from Facebook because I friend with the drummer, Paul Dennington, and several times I listen to their music, I think world should give them more credits; their music is really good you know. 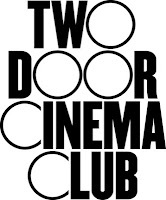 Try listening to their music and I guarantee you will like it. It is actually why I really love indie music; they give us something refreshing to hear, The Dark Jokes is one of them. 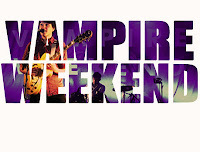 I know Vampire Weekend from a friend and their music is unique and once again refreshing if compared to all the commercial attributes the big bands have these days. Furthermore, I once hear about them from movie It’s Kind of Funny Story; a must watch movie actually. 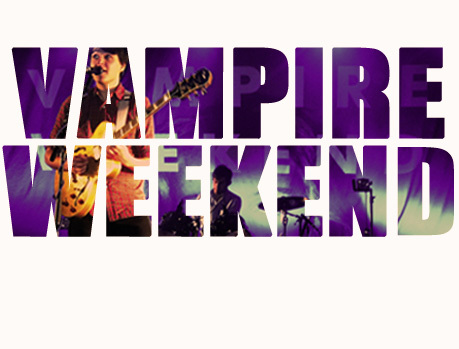 In that movie, there is a conversation between Noelle and Craig about concert they want to go and Noelle suggested Vampire Weekend’s. Call me weird but since Ron Weasley, I think read-headed British boy is cute. 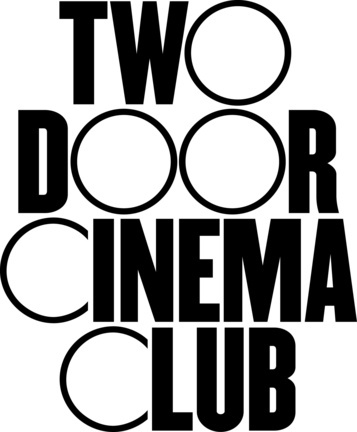 So, here I am listening to Two Door Cinema Club because the main vocal is read-head British boy. 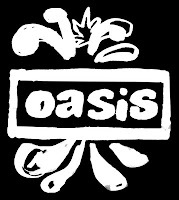 Furthermore, they are indie, so yeah you know my opinion about indie band. They always be able to catch my attention because while you are in indie label you are free to explore what kind of music you want to play, no matter what market told you. 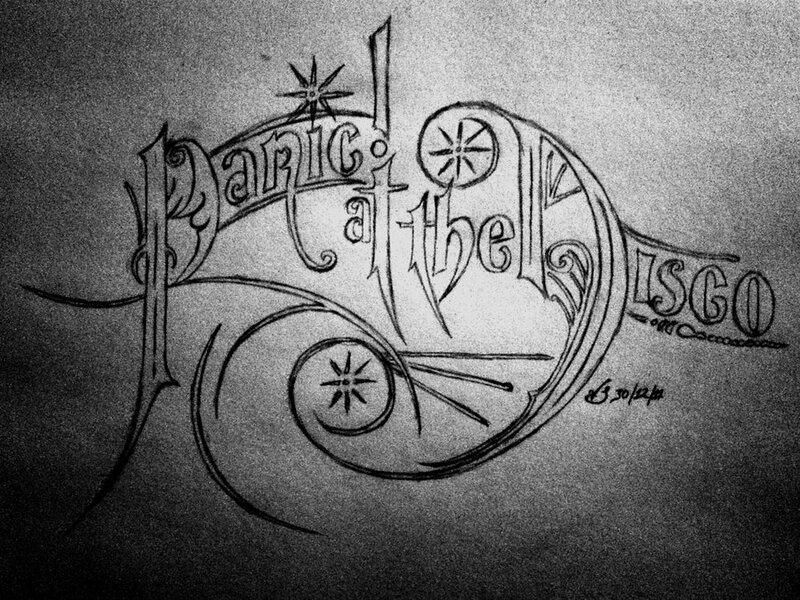 If you ask me why I like Panic! 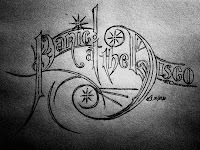 At The Disco especially I Write Sins Not Tragedies? Just read the lyric and listen how Brendon sings it and then you will know why I like it or maybe just me but try to listen to it first and give your opinion. Honestly, besides Alex Turner and Liam Gallagher, I think Brendon Urie is the next band vocalist whose voice I like the most. So, what’s your weekend playlist? 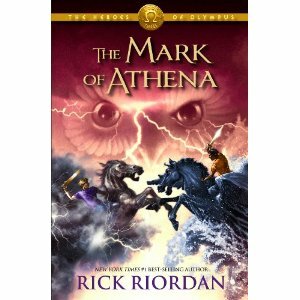 Just finished reading The Mark of Athena by Rick Riordan a couple days ago. Well, I’ve been waiting to read this third series of Heroes of Olympus. The stories started with Annabeth Chase, Leo Valdes, Piper McLean, Jason Grace and middle-age satyr Coach Gleeson Hedge in Argo II which finally found Camp Jupiter. The more significant event from this chapter is how nervous Annabeth was. She never trusted Jason Grace and she always thought that this guy always had a chance to turn them into prisoners and with Argo II they were directly entering Jason Grace’s boundaries, which mean, it was almost the same like they were entering their own prisons willingly. Well, it wasn’t the thing that made Annabeth nervous because she was a girl with a thousand plans, there is always plan B to back up plan A as well as plan C to back up plan B and so on. No, it wasn’t, she was nervous because she had been searching Percy for almost 6 months with no significant result and at this time she was staring at Camp Jupiter and Percy was there. The praetor Reyna straightened. With apparent reluctance, she turned toward Jason. Annabeth didn’t mean to, but she surged forward. Percy rushed toward her at the same time. The crowd tensed. Some reached for swords that weren’t there. Percy threw his arms around her. They kissed, and for a moment nothing else mattered. An asteroid could have hit the planet and wiped out all life, and Annabeth wouldn’t have cared. Percy smelled of ocean air. His lips were salty. Seaweed Brain, she thought giddily. Annabeth put her knee on Percy’s chest. She pushed her forearm against his throat. She didn’t care what the Romans thought. A white-hot lump of anger expanded in her chest—a tumor of worry and bitterness that she’d been carrying around since last autumn. “If you ever leave me again,” she said, her eyes stinging, “I swear to all the gods—” Percy had the nerve to laugh. Suddenly the lump of heated emotions melted inside Annabeth. Annabeth rose and helped him to his feet. She wanted to kiss him again so badly, but she managed to restrain herself. In meanwhile, there visits were okay. This Hera’s “exchanged program’ seemed finally working. It was possible for both camps to unite to stop the rise of earth mother, Gaea, until there was a sudden attack from Argo II by Leo Valdez. The problem was Leo didn’t even aware of what he was doing but whatever the cause was both camps were in a serious war. However, the seven demigods, Annabeth Chase, Percy Jackson, Leo Valdez, Jason Grace, Piper McLean, Frank Zhang and his girlfriend Hazel Levesque who was happened to be Nico di Angelo’s half-sister, finally made their way to Argo II safely to start their own quest. The prophecy brought them to Utah to meet Nemesis, the goddess of revenge who appeared to be a creepy lady cracking fortune cookies in the middle of nowhere and she gave Leo one cookie and said that he would always be able to crack the cookie whenever he needed an answer, an answer with price, certainly, which Leo didn’t know yet what it was. And she also told Hazel that she only had less than 6 days to save his half-brother, Nico, who also had significant role in their quest, without him was impossible for them to find the Doors of Death. And then they continued their journey to Kansas to meet Bacchus, a Roman version of Dionysus or Mr. D in Greek to make a certain deal which is refused by the god. In Atlanta they met Phorcys, the Gaea’s son and his sister Keto. In Atlanta they found important information about where they should go next. So, from Atlanta they headed directly to Charlestone which according to Phorcys is where they could find the map that probably not only able to lead them to the Mark of Athena but also to something that might heal the rift between Romans and Greeks. When it comes to the Mark of Athena and then the biggest burden will be on Annabeth’s shoulders because based on the history, whatever the Mark of Athena will lead to was either healing the rift or causing the biggest war ever between Romans and Greeks because Romans had insulted Athena and turned her to be Minerva, something that each of Athena’s son and daughter would never forgive. In Charlestone Jason, Frank and Leo left for the museum while Annabeth, Hazel and Piper had a tea with Aphrodite or Venus in Romans; it was totally high quality tea time with Aphrodite because she told Annabeth where she could find the map; which is in Fort Sumter. Well, it wasn’t an easy journey to Fort Sumter even when she had found the map because some Romans just arrived and Annabeth should use her diplomacy ability to Reyna, she promised if Reyna let her go and found the Mark of Athena, she would be able to fix whatever grudges between their camps and in return, Reyna promised to slow Octavian down to march to Camp Half-Blood. While the others are busy, Percy had chance to talk to Nereid in Charlestone Harbor that seeking help from Chiron’s brother was the best idea in this matter. So, Argo II headed to whatever longitude and latitude given by the Nereid. On the way they should face one of Keto’s children because though she was trapped in Atlanta, she would always be able to send her children to attack them and here it was Shrimpzilla, Leo took an extreme decision by throwing the Greek fire to the Shrimpzilla but sent him along with Hazel and Frank to the deep of the ocean. Luckily, Chiron’s brothers were really exist, Bythos and Aphros, like Chiron they were also training a kind of underwater camp. After the underwater camp story brought by Leo, Frank and Hazel that made Percy upset because they didn’t want to meet him, Argo II headed to Mediterranean and left only twenty four hours to reach Rome to save Nico. Still, there is Mark of Athena to trace too. Annabeth insisted that she would go alone to follow the Mark of Athena that would lead her to The Athena Parthenos which according to Romans’ history once was hid to break Greeks’ spirit so Athena was no longer goddess of military and turned her to be Minerva, a tamer goddess. In Mediterranean or Mare Nostrum the quest would be ten times more dangerous because they would enter ancient land and their first dangerous test to past was Hercules; the most powerful demigod all the time. Since Hercules assigned to guard the doors to the ancient land, so only by facing him they could get permission to cross Mediterranean. Jason who appeared to be his half-brother and Piper who was really good with words were assigned to have words with Hercules. The conversation went good initially but once Hercules knew that Hera sent them to this quest he became mad and ordered them an extra quest to break Achelous’ other horn and brought it to him before sundown. Well, they could break and get the horn but instead gave it to Hercules who in the end appeared to be a big jerk, Piper used the horn to bury Hercules in tons of pineapple and asked Leo to make their escape. Not far from Italian coast they are stopped by the golden boy who had Greek blade like Riptide but made from gold. Unsurprisingly this golden boy was Percy’s half-brother; Poseidon and Medusa’s son, Chrysaor. He invaded Argo II with his well-trained warriors in dolphin shape, because some millennia ago, they had kidnapped the wrong person and cursed to be dolphins and they only feared of someone; he is Bacchus or Mr. D. Well, this time, Percy took credit by saving them from Chrysaor using one of his stupid ideas, as usual, wielding their fear of Mr. D. Once all the invaders left, they invaded back Chrysaor’s ship which was full of gold, diamonds and rubies and used the ship as a tribute for Mr. D, with hope, he would agree to help them whenever they need to fight monsters who only able to be killed if demigod and god were working together. From there, they directly headed to Rome, so Annabeth could start searching The Athena Parthenos and Hazel could find Nico and save him. In Tiber River, Annabeth and Percy met Tiberinus, god of Tiber River and Rhea Silvia, the mother of Romulus and Remus. They would guard Annabeth to where she should start searching the Mark of Athena and they were split. Annabeth started her quest alone and probably would face her biggest fear and Percy get back to Argo II to meet Jason and Piper while Leo, Hazel and Frank were looking for Nico. In the process of saving his friend, finally Leo cracked the fortune cookie given by Nemesis. By using Piper’s Katoptris blade, Percy, Jason and Piper were on their quest to find Nico as well because they could not just depend on Hazel, Frank and Leo because according to what they saw from Piper’s blade, they were too late. So they decided to look for Nico and left Coach Hedge guarding the ship. While, Hazel, Frank and Leo were decoyed by Nico’s sword that was parted from him, Percy, Piper and Jason were directly finding Nico though at the same time also entering the trap designed by the twin giants, Ephialtes and Otis. However, lucky for them tribute Percy made back in the Mediterranean seemed catch the wine dude, Mr. D or Bacchus’ attention and with a little help from the wine god, they could make the twin giants crumbled into ashes. Annabeth was dimly aware of the Argo II hovering to a stop about forty feet from the floor. It lowered a rope ladder, but Annabeth stood in a daze, staring into the darkness. Then suddenly Percy was next to her, lacing his fingers in hers. He turned her gently away from the pit and wrapped his arms around her. She buried her face in his chest and broke down in tears. He didn’t say you’re okay, or we’re alive. After all they’d been through over the last year, he knew the most important thing was that they were together. She loved him for saying that. Together they rescued the statue to Argo II, unfortunately, Arache’s spider silk tangled to Annabeth feet which left the only option, cut the spider silk and she would fall to the Tartarus, however this time, she would not fall alone, Percy was with her. Percy and Nico made a certain deal, Nico would bring their friends to the House of Hades in Epirus where they could find one of the Doors of Death while Percy and Annabeth would find the other one, which according to Nico, was in Tartarus. All things that just happened left Leo in a shock. He had cracked the fortune cookie for an answer with price and he just found what the price was; losing Annabeth and Percy. 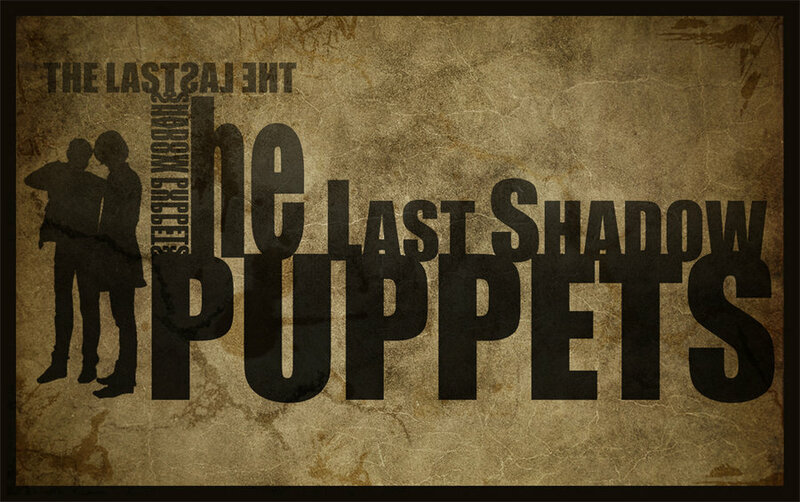 See you next Autumn 2013 in Epirus with the House of Hades.